The Law School Insider podcast is geared toward students that are considering law school and graduates of law school. We talk all about being successful in law school and in your career. The shows are short - only 15-20 minutes each - and are shared weekly on Thursday mornings. Law School Insider - Conversations with students, lawyers and employers. This week on the Law School Insider, a podcast brought to you by Western Michigan University Cooley Law School, we are bringing you Richard Boruszewski, Director of Financial Aid at WMU Cooley Law School. Today's episode will delve deeper into topics regarding how you can pay for your law school experience and things that you need to be thinking about to fun this endeavor. This week on the Law School Insider, a podcast brought to you by Western Michigan University Cooley Law School, we are bringing back Brianne Myers, Director of Admissions at WMU Cooley Law School. Today's episode will delve deeper into law school fairs and forums and will work to put the pieces of the puzzle together to help you to understand what you need to do to have an amazing experience at events such as these. This week on the Law School Insider, a podcast brought to you by Western Michigan University Cooley Law School, we are bringing you Sharon Ellis, an alumna of Western Michigan University Cooley Law School and current State of Michigan Compliance Director for the American with Disabilities Act. Sharon Ellis shares her thoughts on law school and law career success as well as how law school trains your mind and this is an interview that you will not want to miss. “Mental Health: A Michigan Perspective” was the topic of discussion at this year’s Western Michigan University Cooley Law Review’s Annual Symposium at WMU-Cooley Law School’s Lansing campus. The May 19 event featured a diverse panel of community leaders from a variety of backgrounds including law, healthcare, non-profit, state government and corrections. The group discussed issues facing mental health today. Beverly Griffor: managing partner, Collis & Griffor, P.C. Welcome back to the Law School Insider, a podcast brought to you by Western Michigan University Cooley Law School. 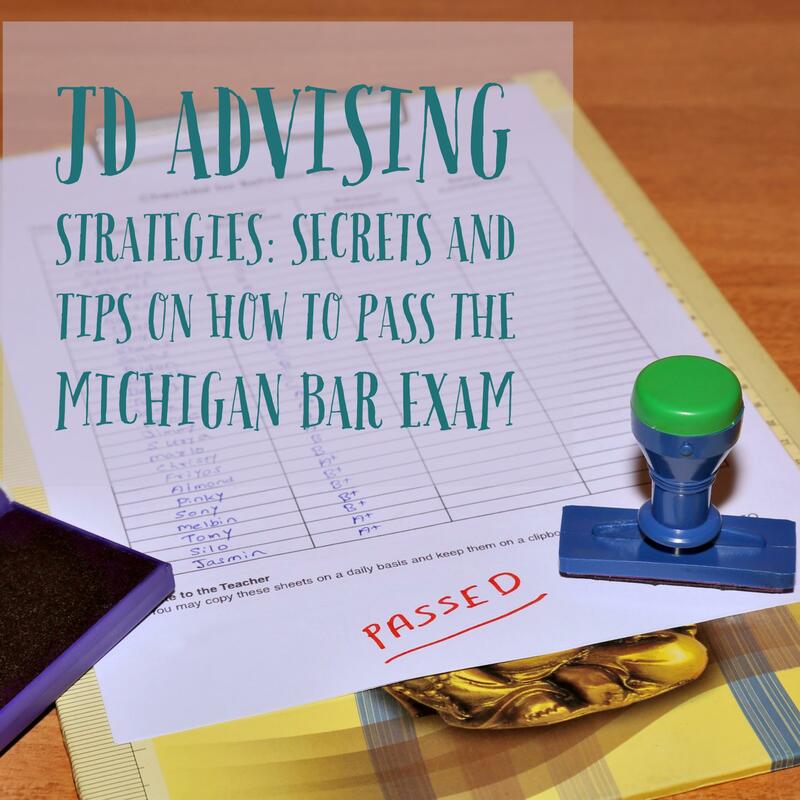 This week we are looking at the Michigan Bar Exam and what you need to do to pass on your first time taking the exam. We are bringing back Ashley Heidemann to talk about this topic. Ashley Heidemann is from JD Advising Stragies, a company in southeast Michigan that works with students to pass the LSAT, Bar Exam and more. This is a presentation that was given at the Auburn Hills campus of WMU Cooley Law School. While the presentation was presented live within a classroom, below is the powerpoint that she provided for you to use as well. Did you like this interview? Do you have a question for Ashley Heidemann? Leave a comment below to let me know! This week in the Law School Insider we are bringing you the Honorable Donald L. Allen, Judge on the 55th District Court in Michigan. Judge Allen spoke to us about the importance of Integrity in today's lawyers and shares many other salient take-aways too on finding success in this profession. This week on the Law School Insider, a podcast brought to you by Western Michigan University Cooley Law School, we are bringing you a special presentation of a talk given at WMU Cooley Law School by past ABA President, Paulette Brown. Paulette Brown shares her thoughts on law school and law career success and this is an interview that you will not want to miss. Paulette Brown became the first African-American woman to lead the American Bar Association (ABA) in August 2015. She is partner and co-chair of the Diversity and Inclusion Committee at the international law firm, Locke Lord LLP. She has held many positions throughout her career including in-house counsel to a number of Fortune 500 companies and as a municipal court judge. In private practice, she has specialized in all aspects of labor and employment and commercial litigation. Brown has been recognized by the National Law Journal as one of “The 50 Most Influential Minority Lawyers in America” and by the New Jersey Law Journal as one of the “prominent women and minority attorneys in the State of New Jersey.” She received the New Jersey Medal from the New Jersey State Bar Foundation and currently serves on its Board of Trustees. She has also repeatedly been named as a “New Jersey Super Lawyer” and by U.S. News as one of the Best Lawyers in America in the area of commercial litigation. In 2009, Brown was a recipient of the Spirit of Excellence Award from the ABA Commission on Racial and Ethnic Diversity in the Profession. In 2011, she was honored with the Margaret Brent Women Lawyers of Achievement Award by the ABA Commission on Women in the Profession. Brown, who served as president of the National Bar Association from 1993-1994, received that group’s highest honor, The C. Francis Stradford Award, in 2015. Brown earned a J.D. at Seton Hall University School of Law and a B.A. at Howard University. Read more about Paulette Brown's visit to WMU-Cooley Law School on the WMU-Cooley Law School Blog. Welcome back to the Law School Insider, a podcast brought to you by Western Michigan University Cooley Law School. This week we are delving into a new topic, the topic of Storytelling for Lawyers. We are bringing back Nelson Miller, Associate Dean and Professor from the Grand Rapids campus of WMU Cooley Law School to talk about how storytelling is part of the art of being a lawyer. This week in the Law School Insider we are bringing you Christy Lee Cole, Director of the Romney Institute for Law and Public Policy at Adrian College. Christy Lee Cole is also the primary pre-law advisor at Adrian College and today she is sharing advice with all of you on developing strong relationships with pre-law advisors on your campus. This week in the Law School Insider we are bringing you Andrew Hudson, Assistant Attorney General with the State of Michigan Attorney General's Office. Andrew Hudson is sharing his experience with us on working with a law degree within the state government. Andrew Hudson is an alumnus of Western Michigan University Cooley Law School. This week in the Law School Insider we are bringing you Brianne Myers, Director of Admissions at Western Michigan University Cooley Law School. Today we are talking with Brianne Myers about what you can do once you have gotten your acceptance letter(s) from the law school(s) that you may want to attend. 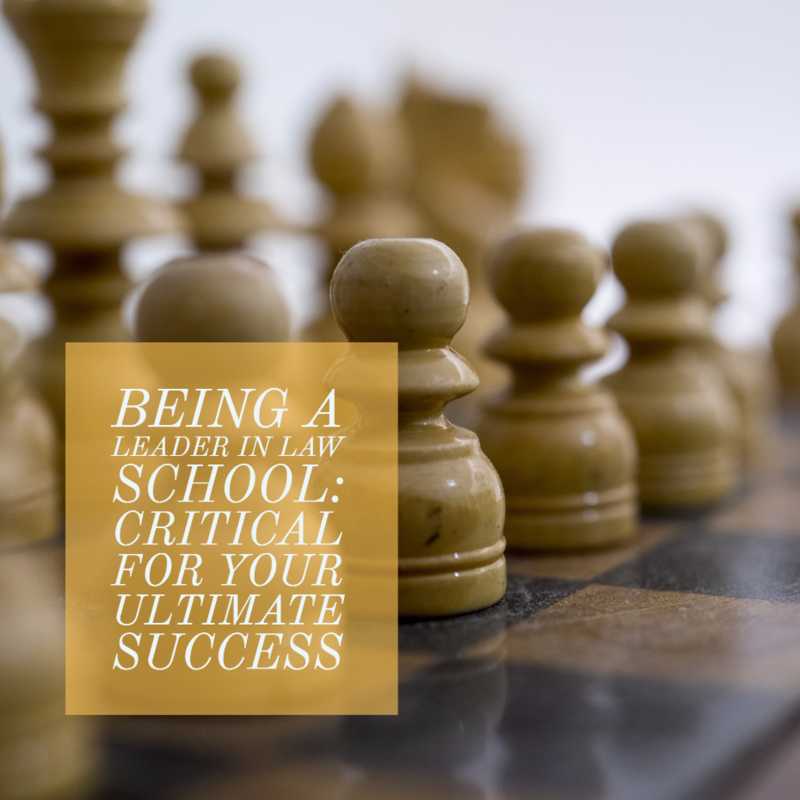 Many of you may be applying to multiple schools and figuring out how to weigh the factors for admissions can seem difficult, but it does not have to be so. Today we will share some great hints, tips and resources that will assist you in the process of evaluating your admissions offers and making an informed law school decision. This week in the Law School Insider we are bringing you Anthony O'Neill of the Illinois Sports Facilities Authority. Anthony O'Neill is the Chief Operating Officer & General Counsel for this agency and is also an alumnus of Western Michigan University Cooley Law School. This week in the Law School Insider we are bringing you Brianne Myers, Director of Admissions at Western Michigan University Cooley Law School. Brianne Myers will share with you great insights into how you can successfully apply to law school and minimize some of the issues that some students run into as they go through this process. The Christian Legal Society (CLS) at Western Michigan University Cooley Law School’s Lansing campus hosted a special guest at the Lansing campus, State Bar of Michigan President, Larry Nolan who discussed the role that faith plays in helping you find legal success. The Christian Legal Society (CLS) at Western Michigan University Cooley Law School’s Grand Rapids campus hosted a discussion on poverty and law with a showing of the PovertyCure Inc.’s video series, “Justice for the Poor.” The Feb. 20 event explored the roots of human flourishing with a focus on entrepreneurial solutions to poverty. Representatives from Acton Institute, a think-tank whose mission is to promote a free and virtuous society characterized by individual liberty and sustained by religious principles, facilitated the discussion on issues surrounding rule of law, or lack thereof, in the developing world. Acton Institute Alumni Relations Director Patrick Oetting and PovertyCure Strategy & Engagement Manager Andrew Vanderput discussed the film and what could be done to help combat poverty in local communities. This week in the Law School Insider we are bringing you Jason DeSouza of the DeSouza Law, P.C. Litigation Law Firm. Jason is alumnus of Western Michigan University Cooley Law School. This week in the Law School Insider we are bringing you Dennis Swan, CEO and President of Sparrow Hospital and Sparrow Health Systems in Lansing Michigan. Today we are speaking with Dennis Swan about his legal journey and how having a law degree has enhanced and extended his reach throughout his career in health care. This week in the Law School Insider we are bringing you Brendan Beery, Professor of Law at Western Michigan University Cooley Law School. We talk to Professor Beery about the field of Constitutional Law, especially in relation to some of the actions of the new President of the United States. This week in the Law School Insider we are bringing you Senator Tonya Schuitmaker, Michigan State Senator for the 26th State Senate District which represents Allegan and Van Buren counties, and the city of Kentwood and Gaines Twp. in Kent County. This week on the Law School Insider we bring back Nelson Miller, who is Professor and Associate Dean of the Grand Rapids campus at Western Michigan University Cooley Law School to talk to you about tips to finding success on getting through your law school experience. As you are past your first term, you have your grades and know that you can be successful you will want to figure out what you want to do while in law school. Dean Miller mentioned that there are many "hidden" or not required aspects to your law school experience. While many of these are not truly hidden, as they are advertised, the key is understanding how these opportunities tie into attaining the goals that you have. This week on the Law School Insider we bring you Linda Kisabeth, who is Professor at Western Michigan University Cooley Law School. She is joining us to talk about what you need to think aboutto create a successful law school outline and ultimately find success in the first term of law school and beyond. This week in the Law School Insider we are bringing you Dr. Paul Zelenski, Associate Dean for Enrollment and Student Services at Western Michigan University Cooley Law School. Today we are speaking with Dean Zelenski about the importance of being a leader during law school and the steps you should take to build leadership potential within yourself. This week on the Law School Insider we bring you Nelson Miller, who is Professor and Associate Dean of the Grand Rapids campus at Western Michigan University Cooley Law School. He is joining us to talk about what you need to think about to find success in the first term of law school and beyond. This week in the Law School Insider we are bringing you Bill Fleener, a Clinical Coordinator for Western Michigan University Cooley Law School. Today we are speaking with Bill Fleener about Tips for a successful Law School Internship or Externship. I know you will find a ton of value in what he shares.